I promised a quick[ish] blog post and here it is, all before the up and coming Trolls and Legends convention in Mons, Belgium where I will be visiting a couple of tables for signings and showing off some original work as well as, like last time, adding some pieces for display to the artists gallery. For those interested here is a link for more details. Now onto some old pieces from the 1970's in no particular order [organised as I am]. 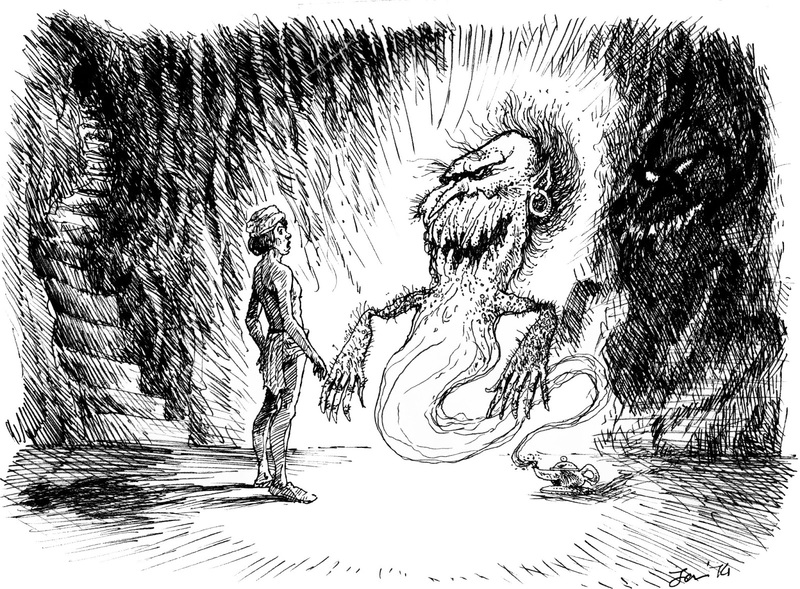 The first is a 'sketch' [it was done on tracing paper with a felt pen in 1974, according to the date]. You'll guess the subject if you think about it [grin]. 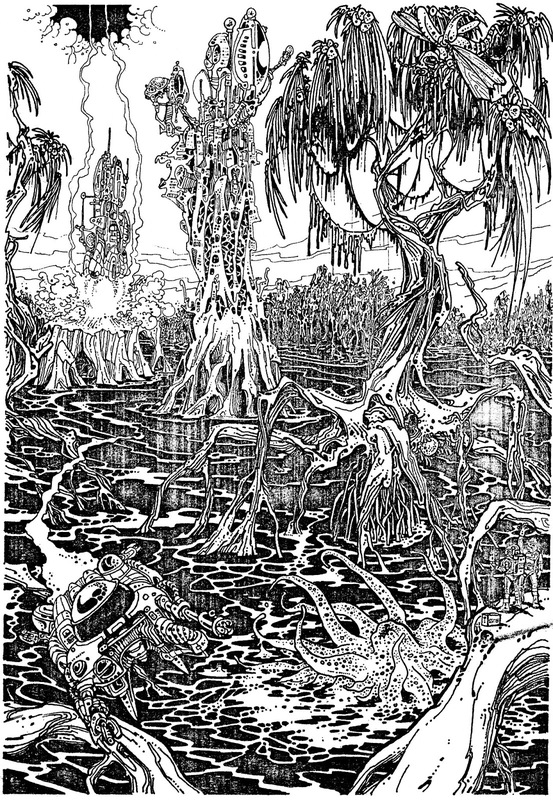 Next comes an interior illustration, which like the next two, has a Science Fiction theme. Sorry about the quality but I only have a faded photocopy to show. 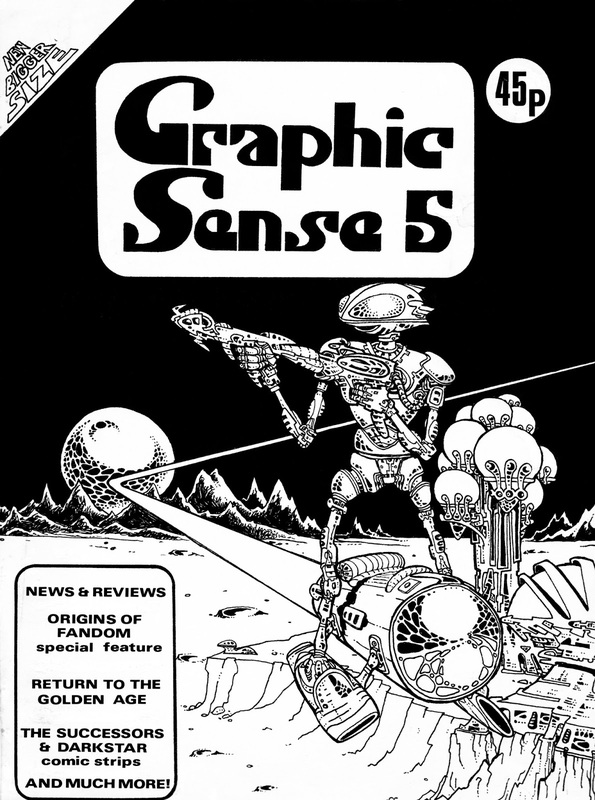 Below is a slightly cropped copy of the original art for a Graphic/Comic fanzine called 'Graphic Sense'. It shows one of my robot designs of that period. 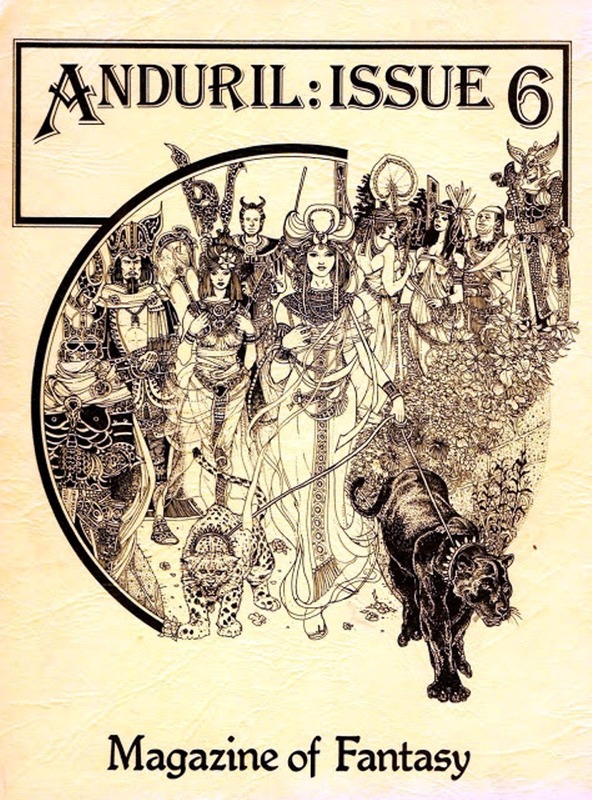 It dates, thanks to a coloured version I found on ebay [see link below] to August !979. 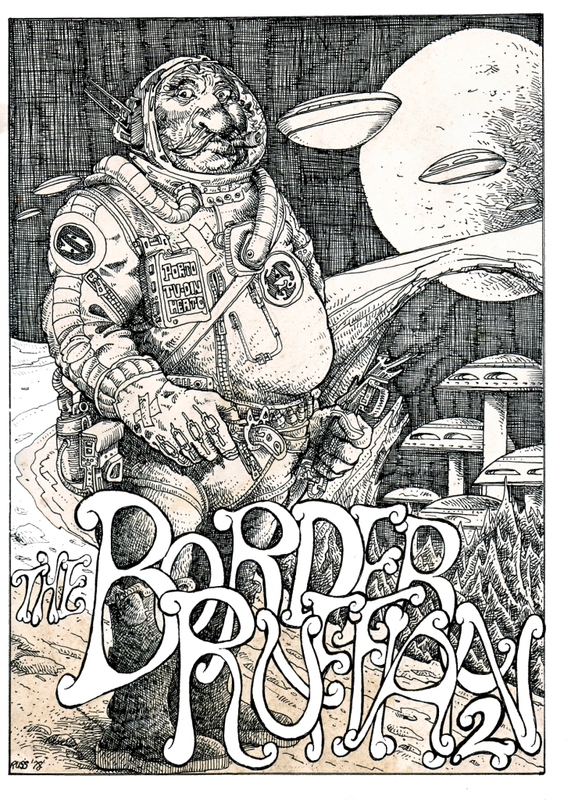 Above is the cover for a fanzine called 'Border Ruffian', which is dated 1978. 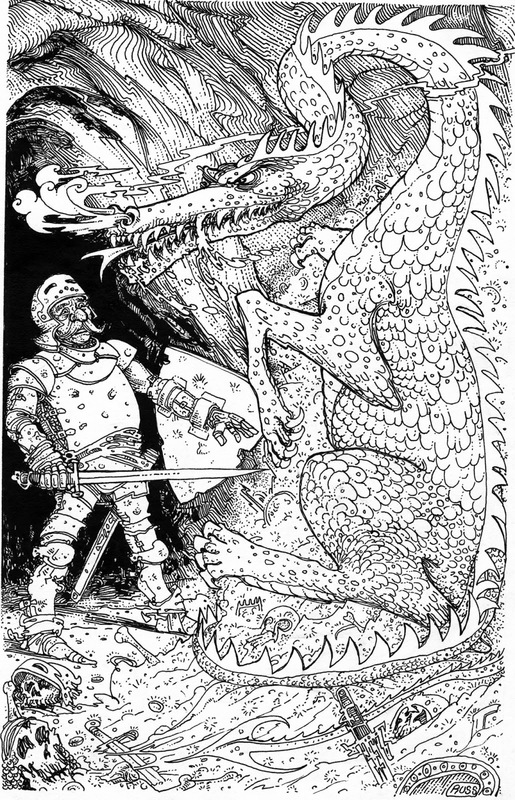 Finally, for this post from the 70's [or early 80's] is a more comic version of 'The knight and the dragon'. From what and why? No idea, but maybe somebody can help out like before. and of course, the art was shown in an earlier post. What I do know is the original art is not available, mainly because it's lost or misplaced [read stolen]. 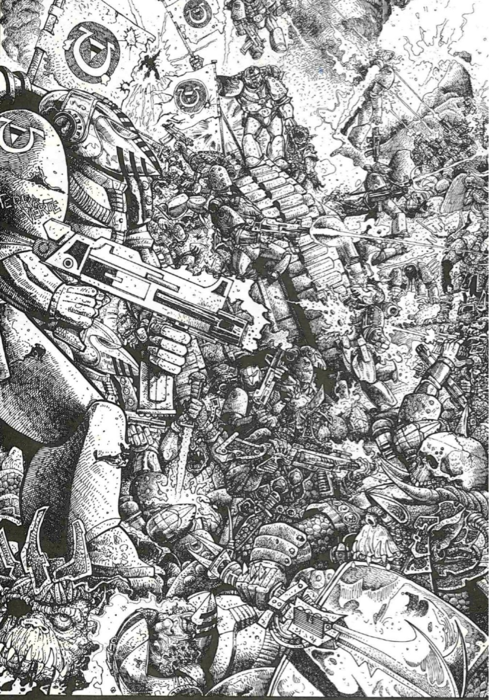 Now I did promise a fan on Facebook another Games Workshop Space Marine picture and here it is. 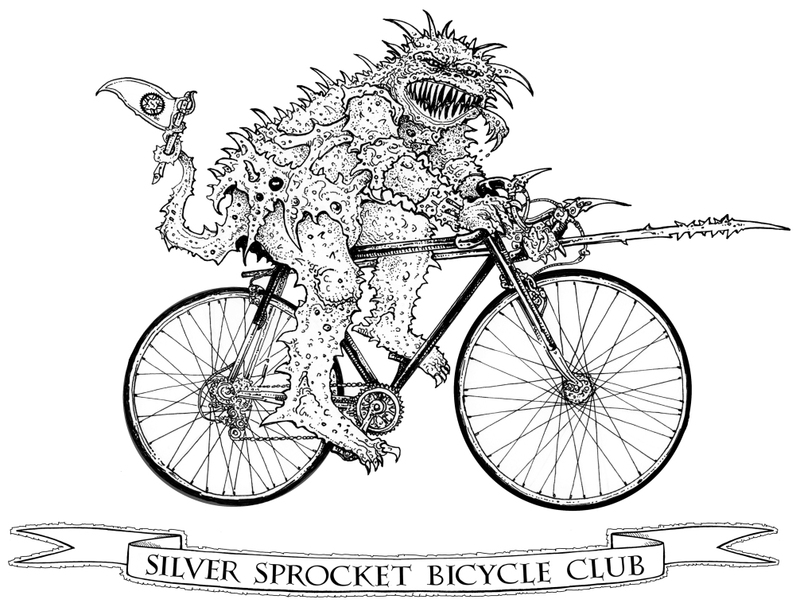 Lastly, and in connection with Blackbird Raum and their latest album, False Weavers, sold by the the Silver Sprockets Cycle Club [link below] is there up and coming T-shirts. 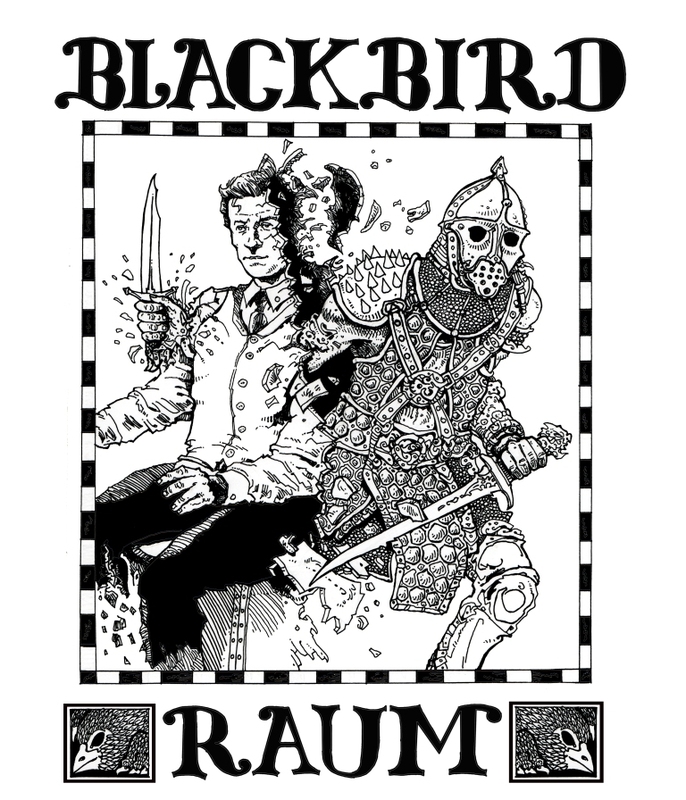 The first is the design for Blackbird Raum. Next the design for the record company. So that is it for the present. Next will be a complete set of the illustrations for one of Dave Morris's books.